Nine years have now passed since our first imported cuttings of Gruner Veltliner arrived on Australian soil and since then, much wine has passed under the bridge. We have continued to expand and consolidate our Gruner Veltliner clonal selections with further imports of plant material – but we have also reached out to embrace other exciting Austrian varieties. 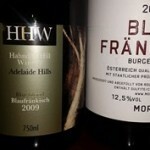 Blaufrankisch has been a staple variety here at Hahndorf Hill vineyards since the vines were planted nearly 25 years ago. Then came the first batch of Gruner Veltliner material which we imported in 2006. In 2012 we produced our first Zweigelt as the Zsa Zsa Zweigelt Rosé, and we have now finally completed the picture with our first St Laurent material being released from quarantine earlier this year. 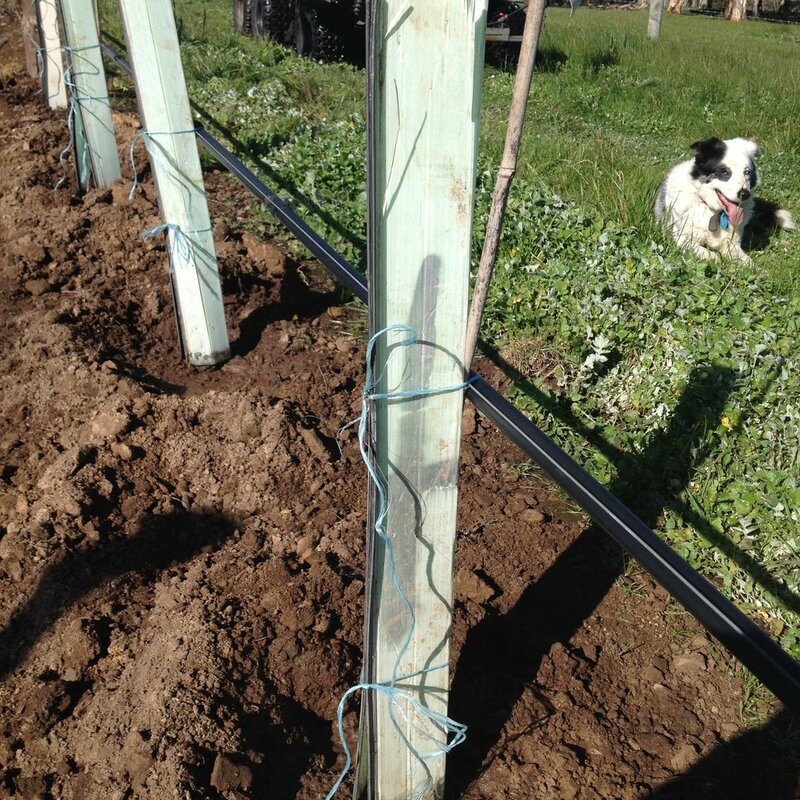 Is this the first St Laurent to be placed in Australian soil? To celebrate all these exciting new developments, we held a staff-training tasting this month with the focus being on Austrian varieties. To start with, there were three flights of Gruner. 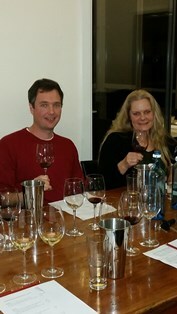 The first flight included three new 2015 vintage examples from Geoff Hardy and Hahndorf Hill from the Adelaide Hills. The second flight was made up of a trio of 2013 Gruners : Hahndorf Hill GRU Gruner Veltliner, Brundlmayer Gruner Veltliner from the Kamptal in Austria, and a very interesting Italian version, Manni Nossing – a Gruner Veltliner from the South Tyrol in Italy. 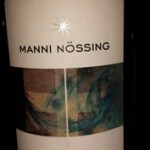 This producer is situated high in the Italian Alps in a region that is close to the Austrian border. In the third flight were two aged Gruners: Lark Hill Gruner Veltliner 2009 from the Canberra District, and Ott Fass4 Gruner Veltliner 2009 from the Wagram region in Austria. 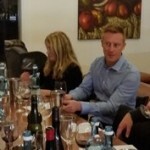 One of the wines tasted in the Gruner flights. It was great to see how interesting and vibrant the new vintage wines were already performing and everyone was especially impressed with the Italian version from Manni Nossing. The two aged Gruners both showed up very well with good residual citrus freshness surrounded by interesting and mouth filling bottle-age characters. 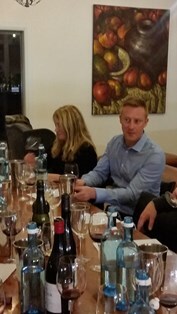 Then there was a flight of two Zweigelt wines – the first being the Hahndorf Hill 2015 Zsa Zsa Zweigelt Rosé followed by a Pittnauer Zweigelt 2007 from the Burgenland region in Austria. The Rosé showed great charm with typical cherry and gentle spice components, whereas the full-bodied Pittnauer was muscular, savoury and with oodles of red fruit. 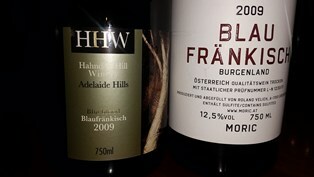 This was followed by two examples of Blaufrankisch: the Hahndorf Hill Blueblood Blaufrankisch 2009 (screwcap), and the Moric Blaufrankisch 2009 (cork) from Burgenland. The HHW Blueblood was extremely youthful with lovely blue fruits and cherry, gentle spice, juicy acidity and excellent structure. 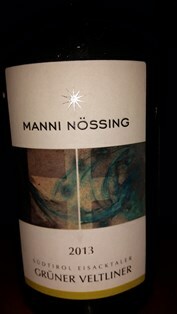 The Moric had the remnants of a powerful, earthy /savoury nose but unfortunately was considerably corked. 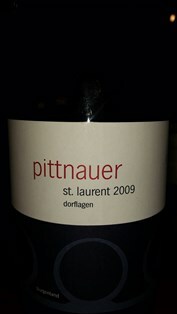 The final wine was another example from Pittnauer – their Saint Laurent 2009. St Laurent (also known as Sankt Laurent in Austria) is considered to be an indigenous Austrian variety that possibly originated in Alsace. It’s also considered to be a Pinot Noir cross, with the other parent not yet having been identified. This exotic parentage is very apparent in the tasting of the Pittnauer version, with the wine showing all the hallmarks of a high quality red Burgundian but with the added charm of a gentle Rhone-like spiciness. 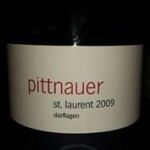 Can’t wait to get some of our own St Laurent into a bottle! 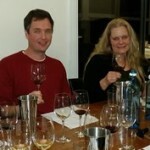 This entry was posted in Adelaide Hills, Adelaide Hills Gruner Veltliner, Adelaide Hills wine, Adelaide Hills wine region, Blaufrankisch, cool climate wine, Diurnal variation temperature, Gruner Veltliner, Gruner Veltliner Australia, Hahndorf, St Laurent, wine, Zweigelt, Zweigelt Australia and tagged Adelaide Hills, Adelaide Hills wine, Adelaide Hills winery, Blaufrankisch, cool climate wines, Diurnal variation temperature grapes, Gru, Gruner Veltliner, Hahndorf Hill Gruner Veltliner, harvest, New Planting, St Laurent, Zweigelt, Zweigelt Australia. Bookmark the permalink.